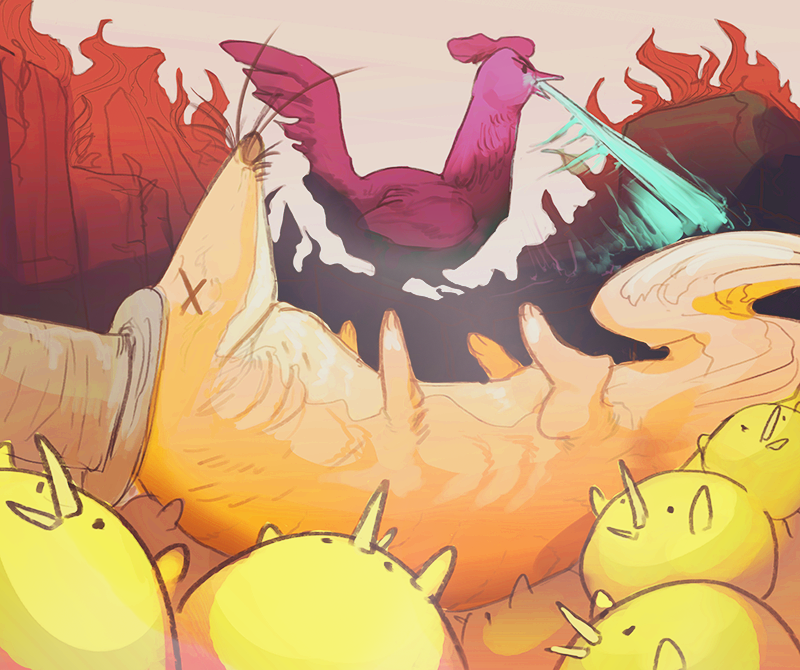 The player is a giant chicken bent on destroying the evil foxes’ city, and freeing the captured chicks from them. As the chicks are being freed, they join the horde following the player and attacking the foxes until they become an unstoppable force. Trash Chicken was created in my fourth Semester of studying at CGL as the collaborative project, with Rick Hoppman, Caterina Böhm and Omar Ruiz. You can download the game HERE (PC, Mac, Linux). Or you can watch a Gameplay Video HERE. You can read about the development process HERE.